After using Xiaomi’s Mi Ultra Short Throw projector for several weeks now, we can safely say this is the best home cinema projector available in its price. Xiaomi is known for offering the best value for money. The company’s products are often accused of being a copy of high-end Silicon Valley firms. But, looking at its success so far, it’s safe to say the strategy has been working. From Xiaomi Mi notebooks to super intelligent, Tesla-like vacuum cleaners, Xiaomi has been offering a lot of products. While some may have been failures, it’s Ultra Short Throw is certainly a success. With its sleek design and Apple-like aesthetics, Mi Ultra Short Throw can add into any living room’s design. The product works brilliantly among ambient light and almost dazzles the viewer if you close off all the shutters to get the true home cinema experience. Why are we going on and on about Xiaomi’s Mi Ultra Short Throw projector? Because the product is available at its lowest price yet for a limited time only. While Xiaomi projector usually goes for over $2600, we brought deals that offered it for around $1850. The price is now hitting its all-time low at $1825 until June 30. If you have been waiting for the right time to finally work on that home cinema project, Xiaomi Mi projector with its ultra short throw fancies and Dolby audio is here to wow you. 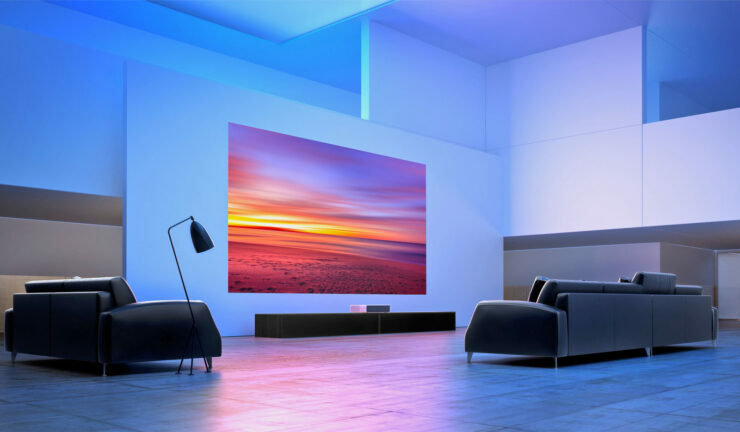 While this projector may sound exorbitantly priced, the features and the specs list it offers can only be matched by a projector from known names like Sony or Espon that cost at least $5,000 a piece. 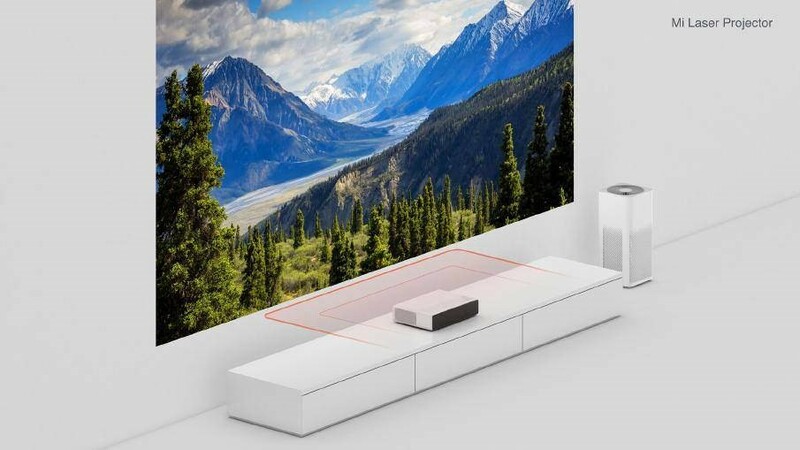 The Mi Laser Projector features ALPD 3.0 laser light source technology developed by Appotronics that is behind the laser tech in 90% of movie theaters – this one literally brings cinema to your home. The projector also utilizes Xiaomi’s own custom digital light processing (DLP) solution created by Texas Instruments. This is the world’s first ultra-short focal laser projection with ALPD technology that delivers up to 150-inch Full HD at a distance of 50 cm with a high contrast ratio of 1500 lumens and 3000: 1 and a product life of 20,000 hours. Using a compact “box” design, the product adds to your living room’s aesthetics and also enables you to interact with your projector using voice assistants. 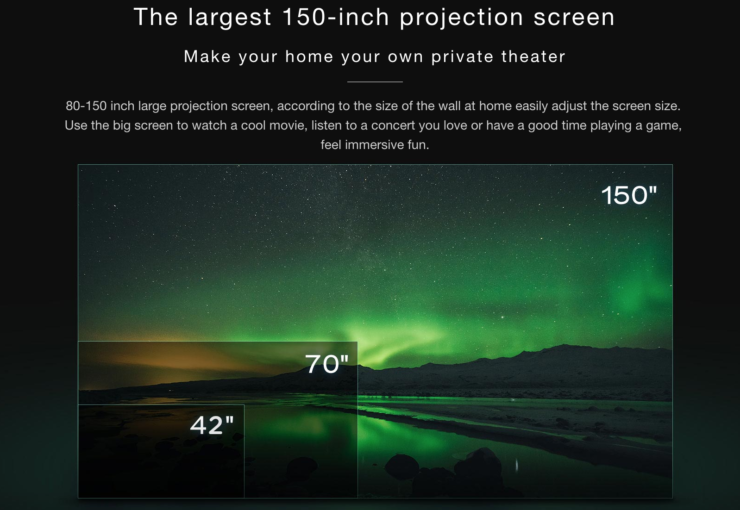 Cinema Laser Projectors may not be new, but Xiaomi is certainly helping consumers get the technology at a much affordable rate. With built-in speakers, wide color gamut, 150-inch large projection size, no wiring, and ALPD 3.0 laser light source technology, the Xiaomi Mi Laser Projector remains the best choice in its category. The product has also won the 2017 Japan Design Excellence Award, among several other awards. If you have been waiting for some discounts to get your hands on this 150-inch short throw laser projector powered by cinema tech, now is the time. Use code XMPRO65 and get it for $1825 down from $2602.86.